It tell us that Jack Zylkin is a founding member of Philadelphia's first and only hackerspace, Hive76. He collects antique typewriters, electric pianos, oscilloscopes, and other specimens of muggle magic. His favorite font is Century Gothic. 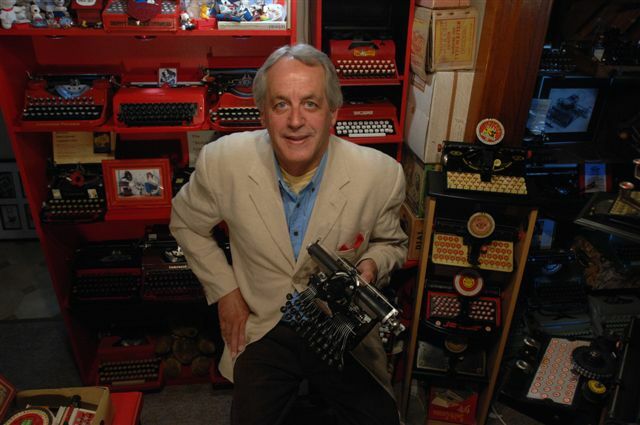 He loves receiving comments (and criticism) and can be reached at jack@usbtypewriter.com. Been thi king of setting up one of these myself. Did you buy the kit and convert your own? Or buy a completed unit. Hi Scott. Jack sells the kits for about $80, from memory. He seems to do a lot more business with kits than with converted typewriters. To buy one of the older models already converted and bring it into Australia will cost more than $900 all up. So if you have the confidence to convert it yourself, you could save yourself more than $800. Well, I'm certainly not afraid of a bit if technical work! I think I'll look into that. Thanks Rob. I have a kit and am wondering which poor "stunt typewriter" will get that treatment.